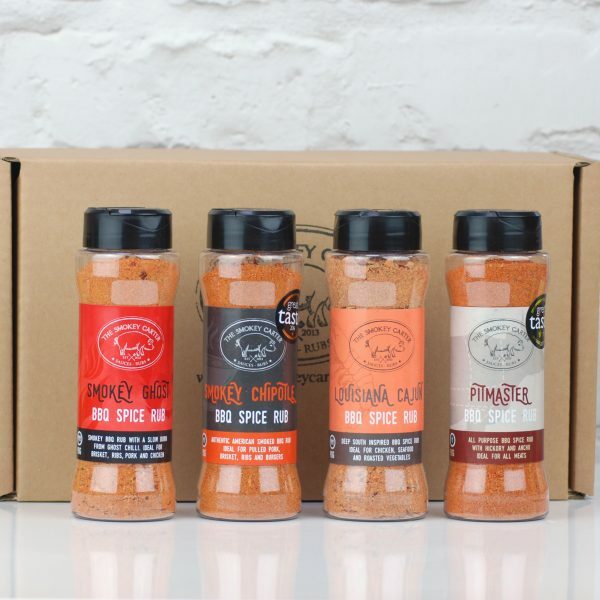 Including four 90g flip cap rub shakers, this range of barbecue seasonings is great for recreating that all American barbecue flavour at home. 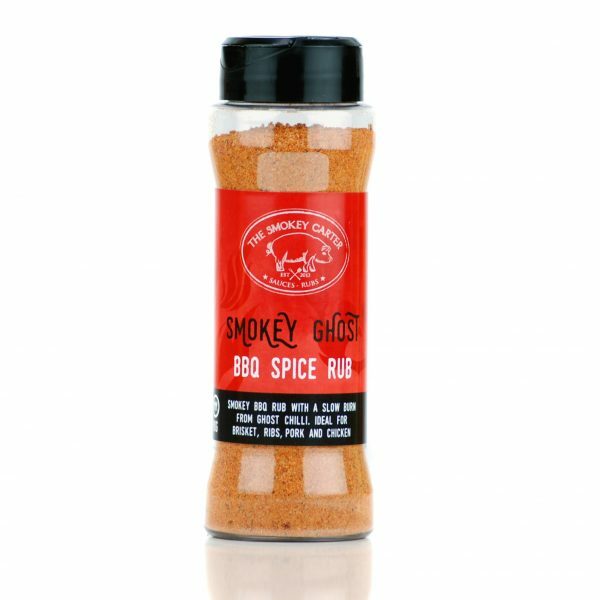 Our Smokey Ghost BBQ Rub is a smoky full flavoured spice blend with a slow burn from the Bhut jolokia (Ghost) chilli. Ideal for brisket, ribs, pork and chicken. 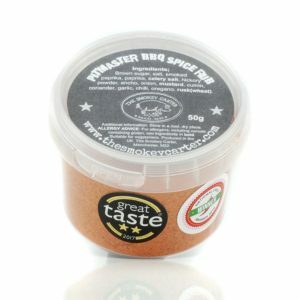 This rub is designed for great flavour and not painful heat! We carefully balance the heat of the Ghost chilli to make this a pleasant rub. 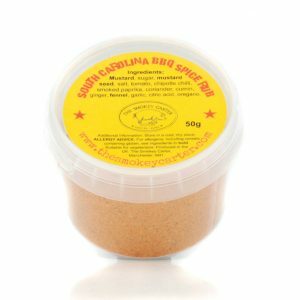 Pitmaster BBQ Rub is an all purpose BBQ seasoning. 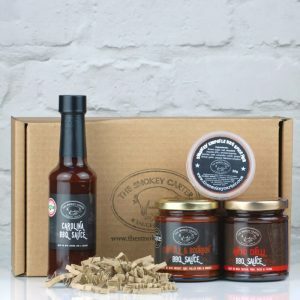 With hints of natural hickory & chilli, perfect for ribs, brisket, burgers and pork. 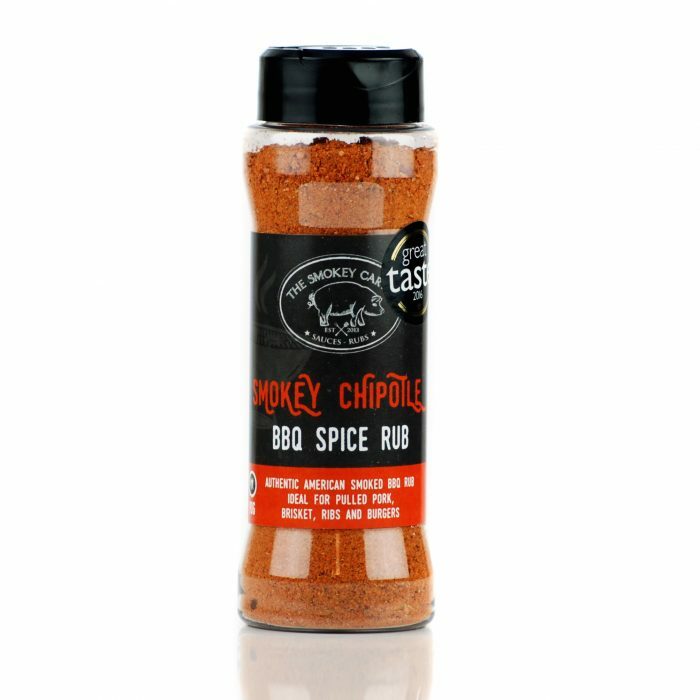 It has won a number of awards including 2 Gold Stars at the Great Taste Awards 2017and won 1st Place in the 2015 National Chilli Awards for Best Rub/Spice Blend. 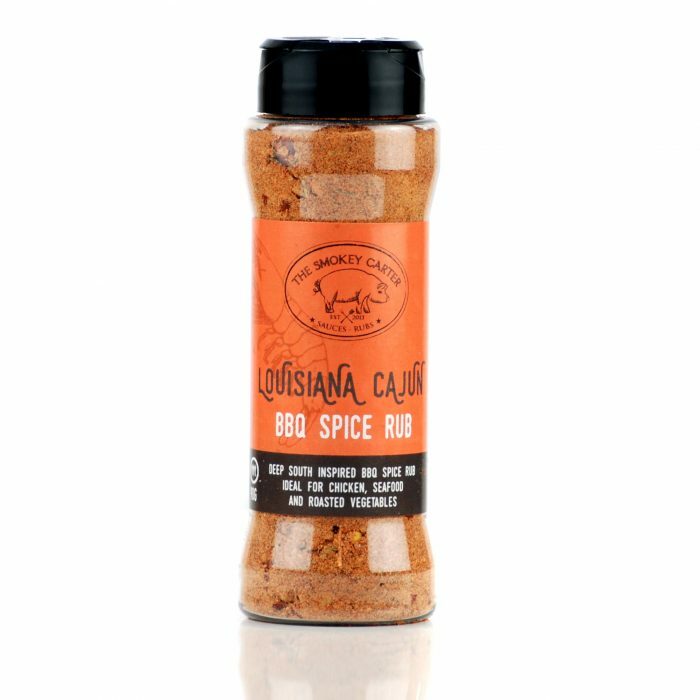 The Louisiana Cajun Rub comes with a kick and is great for adding spice to your life! Use on chicken, roast potatoes or vegetables. 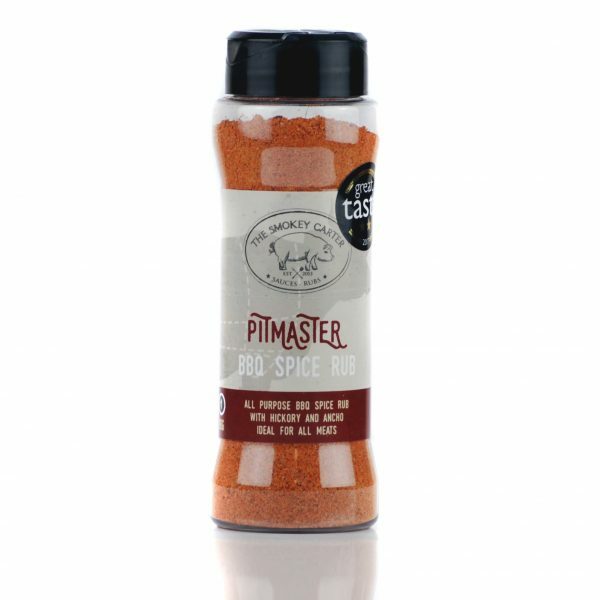 Or use as a fajita seasoning. 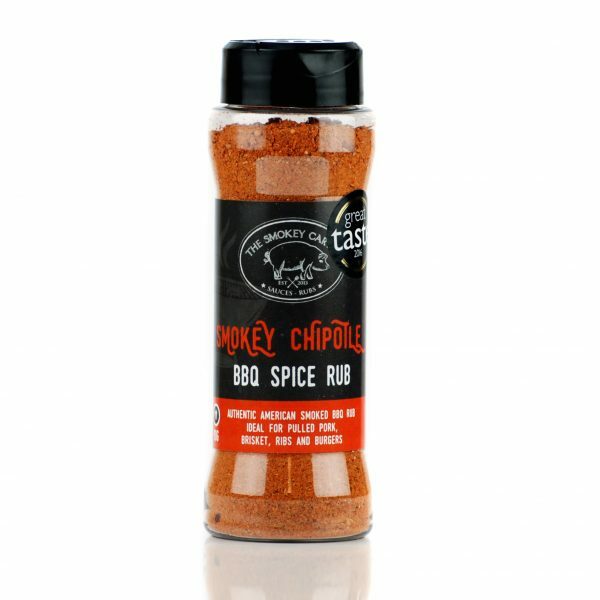 Last but not least and winner of a Gold Star Great Taste Awards 2016 our Smokey Chipotle BBQ Rub is perfect for creating that authentic American smoked BBQ flavour at home. 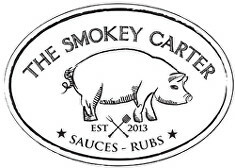 Designed for all meats and great in barbecue beans. Smokey Ghost BBQ Rub – Ingredients; Brown sugar, salt, smoked paprika, chilli blend (chilli flakes, jalapeno powder, ghost chilli (2%)), hickory powder (natural smoke flavouring, rusk (wheat)), onion, all spice, cumin, mustard, coriander, garlic, Mexican oregano, citric acid. Allergens: Contains Mustard & Wheat.